The OrchidHouse greenhouse is designed for the home garden enthusiast. 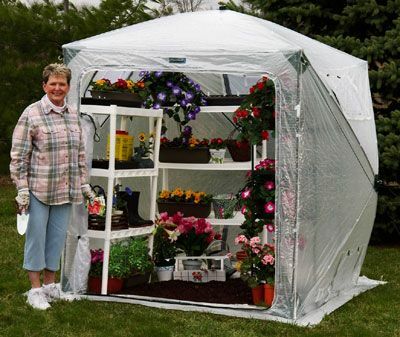 Your dreams of owning a greenhouse can now come true! This innovative design will be the talk of your neighborhood! Compact and lightweight, set up and takedown in minutes, no tools necessary! 1 large door and 4 zippered windows provide easy access and optimal ventilation. 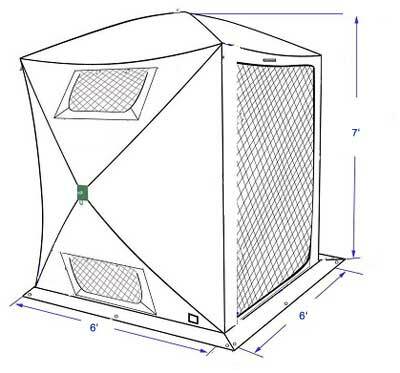 All openings feature screened vents for insect and pest protection.